“Cissy” - the original mid-century fashion doll by Madame Alexander… introduced at 20 inches in 1955. “Cissy” was designed to wear the fashion of this intriguing era of fashion. When “Cissy” was THE fashion doll, it was all about Dior. While other designers were doing beautiful work, Dior was the first to understand the importance of tying his fashion design into the media of the time. If he could create an ongoing story, the high value of that free press would help keep him and Dior front and center. At the same time, while other designers had done it first, he took the couture house tie-in of perfume, accessories, and cosmetics to a new level. 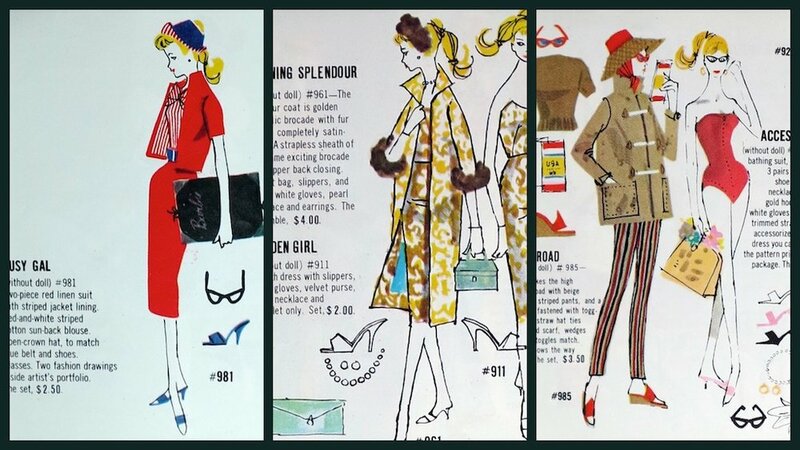 When “Cissy” came along in 1955, the world finally had a doll with the right proportions to wear mid-century fashions that were all about a particular set of feminine proportions. Part of “Cissy’s” popularity is that she genuinely reflects this remarkable period of fashion. As both dolls and the fashion industry do, by 1959 change was in the air. Yves Saint Laurent had moved on from Dior in 1960 to establish what would eventually be a youthquake in fashion and popular culture. Other younger, or at least younger thinking designers would follow. “Barbie”, again with the right proportions, would enter the market and wear this more youthful fashion better. “Cissy” did hang out until 1962, but those last couple of years were more about morphing into an extravagant portrait doll coming from the grandparents to an older girl who was not going to be playing dolls so much as following what Annette was wearing on TV in the Mickey Mouse Club. Fast forward, and “Barbie” is still THE mass market fashion doll, but other smaller manufacturers have embraced fashion and the fashion doll for a passionate fashionista market willing to pay the price of lower quantities for high design. And the business of fashion has been in free fall for the past decade. Designers now come and go fast and furious, as fashion houses scramble to stay relevant. Karl Lagerfeld is the last of the Dior/YSL era designers working, and his replacement is popular fashion industry speculation. The biggest hiccup in the fashion industry to date for this year was the announcement that Michael Kors, now rebranded as Capris Holdings Limited, has bought Versace. One of the last of the independent fashion houses, Versace has been in decline ever since the loss of it’s creator Gianni Versace. Dior was the leader of the fashion pack until his death in 1957. Yves Saint Laurent took over before moving on to his on fashion house and opening the way to a fresh new look that would again sweep the fashion industry. So, the fashion shows come at us fast and furious, fashion designers play musical chairs with their careers, and the high fashion business continues the buy outs and acquisitions that American department stores, banks, and airlines used to survive in their own changing business environment. The results tend to be bad for the consumer who now has little choice but except or decline these options. The fashion doll is still alive and well, with more people doing their own thing and some of the brands doing smaller offerings that are well designed and geared to a demanding niche market that knows their fashion. Cissy continues her popularity with grace and charm and a reflection of the art and artistry of Madame Alexander and the Alexander Doll Company. Being a fashion doll means the winds of change will eventually put you on the clearance rack, but you could also become a fashion doll collectors meme. “Barbies” surprise entrance in 1959 would make a huge impact in the world of the fashion doll very quickly. She would adapt and develop to become the iconic fashion doll she still is today. Fashion dolls and the fashion industry are guaranteed to change. They both quickly show the impact of dwindling sales, and both respond by being discontinued. Was Cecil Beaton, the photographer, artist, diarist and theatrical designer who chronicled, and was influenced by, several periods of artistic and social upheaval in the 20th century, the last dandy? The documentary, “Love, Cecil,” directed with energy and affection by Lisa Immordino Vreeland, doesn’t grapple with that question, and doesn’t have to; almost 40 years after Beaton’s 1980 death at age 76, no aesthete has come close to duplicating his output or his impact. Narrated by Rupert Everett and enlivened by vivid swatches of Beaton’s own prose, “Love, Cecil,” after beginning with archival footage of a late-in-life television interview with the man, hews to a relatively straightforward linear chronology. Cecile Beaton, was friend and photographer to equally extreme and eccentric American fashion designer Charles James. Some of the most iconic photos of James fashion was photographed by Cecile Beaton. 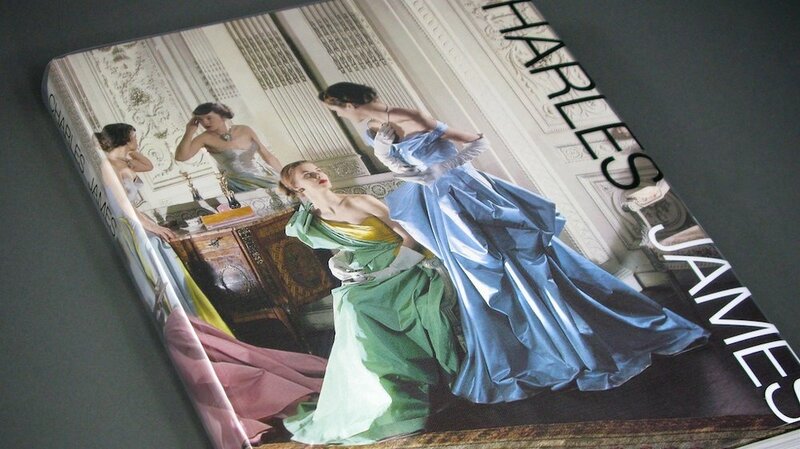 The cover of “Charles James” Metropolitan Museum 2014 exhibition - Charles James: Beyond Fashion. 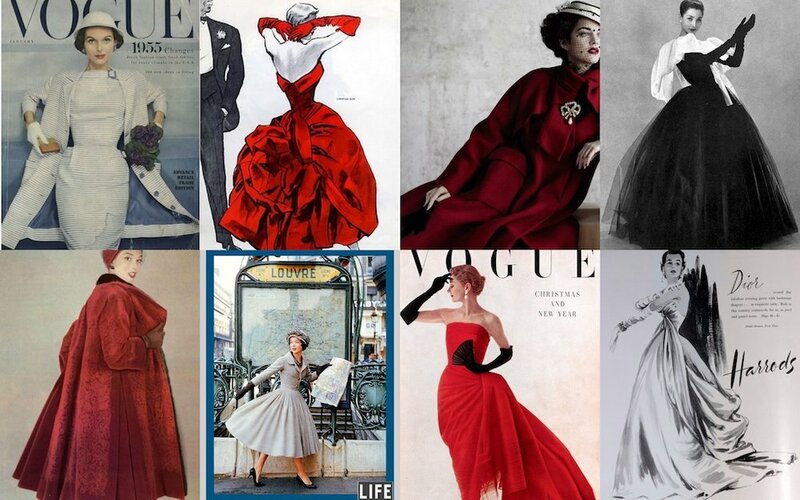 1955 Cissy by Madame Alexander wearing Charles James inspired gowns in the setting of this iconic Cecile Beaton fashion photo for a Charles James fashion layout.